At the Marshall Law Firm in Walnut Creek, California, our attorneys are dedicated to protecting consumers' rights and getting clients a full and fair award. We help consumers understand their rights under consumer protection laws and what legal action they can take to hold companies accountable for their actions. Our lawyers' knowledge of consumer protection laws helps us provide the best possible representation for consumers who have been cheated or bullied by companies. We have experience protecting clients from auto dealer fraud, creditor harassment and other legal issues. Our law firm has taken legal action against banks, drug companies, credit card companies and many others. We provide personalized attention and will keep you informed throughout the entire process. Protecting your rights and getting you fair compensation is our main priority. You can trust us to give your case the attention it deserves. We fight for the little guy when companies try to take advantage of consumers. Even if you don't know your rights as a consumer, we can help. At the Marshall Law Firm, we care about consumers, not companies, and we will continue to fight to protect your rights now and in the future. The Marshall Law Firm has extensive knowledge of the consumer protection laws put in place to guard against unfair practices. 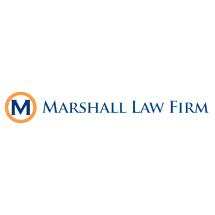 The Marshall Law Firm provides clients with strong representation and personal attention.